How to Lose 100 Pounds and Keep it Off For Life | "Get Up and Get Moving"
You are here: Home / Motivation / Eating 6 small meals a day is how I lost 100 pounds! 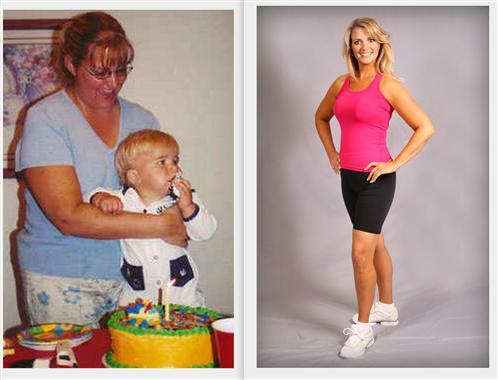 Eating 6 small meals a day is how I lost 100 pounds! When selecting a low fat diet plan, make sure you are getting a balanced and complete diet Full of everything you will need to fuel your body. You will need to set realistic goals so you will get where you want to be. You can start by following some guidelines I listed below. Guidelines for a nutritional, low fat diet. 2. To succeed, you are going to have to plan ahead. Pack your foods the night before. You will need to always have low-fat foods around. 3. Don’t get too caught up on the specifics of your diet. Keep it simple. Start by simply just counting calories. 5. Eat on a smaller plate. 6. Avoid foods that are high in sugars such as pastries, candy bars, pies and candy. Give these up and you will feel great after a few weeks. 7. Use a variety of vegetables and fruits in your nutrition plan. Start by trying to eat 5 total vegetable servings and 2 to 3 servings of fruit every single day. Dark veggies are best. Here is my plan!! Give it a try! Each morning before you eat anything have an 8oz class of water. Raspberry, Flax-seed protein shake. As seen on Dr OZ ~ You want your morning to have a fiber punch to keep you full and regular. 2 scoop of vanilla or strawberry protein powder. 1 small handful of fresh spinach. The nice thing about the spinach is that you can’t taste it and your kids would never even know that it is in the shake. Add a tiny bit of ice and blend away. You can play around with your shakes. Have fun with them and make them your own. We also add yogurt and apples sometimes. It’s a great way to start the morning. 1/2 turkey sandwich loaded with lettuce and tomatoes. whole wheat bread no white!! If you are hungry during the day here is a list of safe foods as I call them and you can grab any of these and have one or some just to take the edge off till the next time you eat. String cheese, nuts, Almonds are my favorite and I eat usually 10 and it takes the edge off. Beef jerkey, But look at the carb count because some brands are higher then others and don’t eat much just enough to take the edge off. Jerky is so high in salt. Any vegetable, cucumber, broccoli, cauliflower. Just to fill you up. If you will be at the office or gone for the whole day you need to pre-plan your meals ahead of time. You will want to take everything will you so you have no room to fail. Doing this for YOU is important. Be good to yourself!! You deserve it! !